How Do You Curb Police Misconduct? Make Them Wear Cameras | Hupy and Abraham, S.C.
Police body cameras could reduce use of force and protect officers from false allegations. As incidents like the one in Ferguson, Missouri continue to occur, tension levels between police and the public continue to trend in the wrong direction. But is it possible to resolve the issue in a way that protects citizens from unnecessary force and officers from false accusations? Police officers in Rialto, California have been required to wear body cameras since February 2012 and the results have been astounding. Within 12 months, public complaints against officers dropped 88 percent and officers’ use of force fell 60 percent in comparison to the previous 12 months. These results are certainly encouraging, but should hardly be considered surprising. On one hand, if an officer knows he’s on camera, he will likely think twice about using force or engaging in any type of behavior that he knows is unlawful. On the other hand, citizens will also think twice about filing an illegitimate complaint. Although in some cases, police can be difficult to deal with, citizens sometimes exaggerate the circumstances. In such a case, if the accused officer is wearing a body camera, he’ll be protected from the false accusations. Though it seems like a win-win situation, not everybody is on board. For one, some police officers are uncomfortable with the idea of being on camera all the time. Of course, if they’re not doing anything wrong, you’d think they’d feel good about being protected from false accusations. 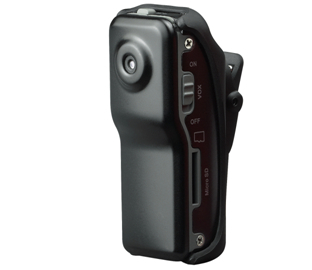 Perhaps the primary obstacle for widespread use of police body cameras is cost. Currently, body cameras cost between $300-$400 per officer. Multiply that times the number of officers in a department and you can imagine the impact such an investment would have on a city budget. However, such an investment wouldn’t necessarily be a total loss for the city’s budget. If other cities experience a similar decrease in use of force and complaints, they’d be saving an awful lot of money in civil rights lawsuits. Take Chicago for example. Their police force is the second largest in the nation with 12,515 officers, and if you affix a $300 camera to each of them, you have a $4 million bill to pay. But suppose these body cameras prevented an incident like this one, that resulted in a $4.5 million payout, from occurring in the first place. All of a sudden, the body cameras would not only be protecting peoples’ civil rights and protecting officers from false accusations, they’d also be saving taxpayer dollars. Locally, a petition is circulating calling for Milwaukee police officers to start wearing body cameras. Milwaukee Police Chief Ed Flynn is drafting a proposal to order a few body cameras to test out. It’s unclear how many cameras he’s looking to purchase. Alderman Tony Zielinski, who is also pushing for stricter enforcement of pedestrian laws, is asking Milwaukee Mayor Tom Barrett to include police body cameras in his 2015 executive budget. He argues that increased police transparency would be worth the investment. In Ferguson, Missouri, many riotous citizens are jumping to the conclusion that the officer used excessive force, whereas many law enforcement officials are inclined to give the officer the benefit of the doubt. If the officer in question was wearing a body camera, we’d have a much better idea of who should be held accountable. As incidents of alleged police brutality grow in number, it’s clear that some type of reform is necessary to restore public confidence in law enforcement officials. Judging by the results in Rialto, California, requiring police to wear body cameras is the perfect solution.